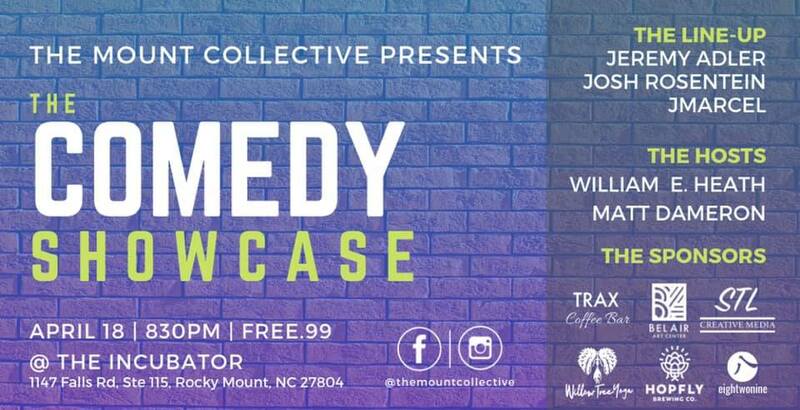 The Mount Collective is back with another comedy showcase in a NEW location Rocky Mount Mills Beer Garden center suite. with some of the best comedians NC has to offer! As usual it is a packed house so get there early to get a seat sit back and get ready to laugh.